Woodworking specialists will tell you that precise and versatile machines are pretty hard to find. This is indeed very true for the case of table saws. 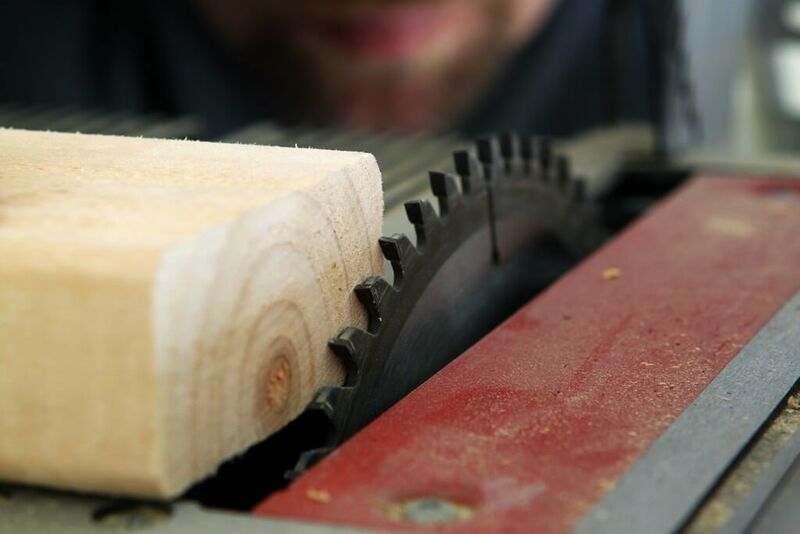 Due to the vastness of subpar table saws on the market, you can quickly make the wrong purchase decision. 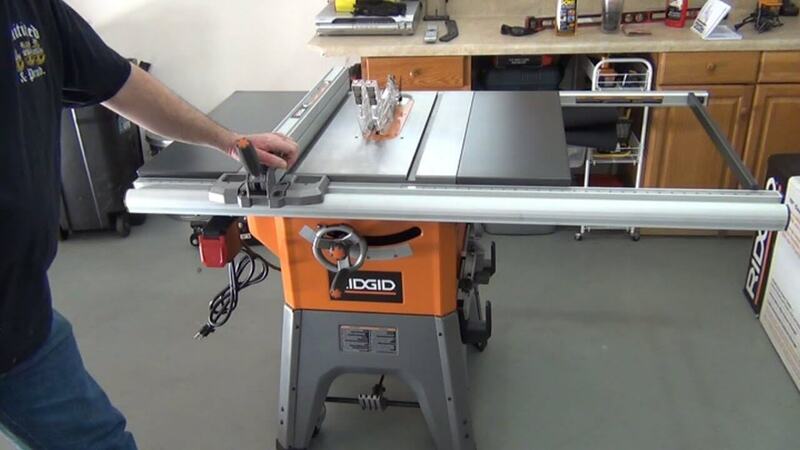 That being said, we want to review RIDGID Table Saw R4512 10 . Which is one of the affordable tables saw models boasting great practicality. In this article, we will be providing the capability and specifications that make this model better than the others. It is unfortunate to say that many people rush to the market only to end up purchasing low-quality tools leaving them dissatisfied. If you are among the many looking for the easiest and formidable ways to revive their woodworking industry, well you need this table saw. It is an all-round woodworking tool that can fulfill all your needs. Which is great for daily use, job site jobs, and heavy-duty projects. This features 15 amperes motor power which gives it great power that supersedes all the requirements of your projects. In other words, this table saw produces magnificent power that cuts soft and hardwoods easily and precisely. When you want to know whether you would have comfort when undergoing you daily wood projects, you also need to focus on how spacious the table top is. Now, with this model, the sky is the limit for any woodworking nerd. Even though there is still some room for improvement on the design side. Another aspect that is paramount when buying a table saw is the stability. With RIDGID R4512, stability is excellent. Thanks to the sturdy and wide base. Also, the legs have rubber covered caps that ensure none skidding as well as protecting your floors from scratches. As you can assume, this table saw is also quite portable. Thanks to the easy disassembly and also the 267 pounds are that much for men. Is it right? Well, it depends on how you perceive it but the truth is that this table saw is portable to some extent. As you already understand the requirements for smooth operation, this device features a milled and polished surface. So, the wood slides quietly without making any noise. It provides 100 percent flat surface that allows hassle-free cutting. All the same, it produces a few decibels of noise resulting from the rotating motor. This is quite in order because we give thanks to the huge power output revealed by 3450 rotations per minute for this machine. 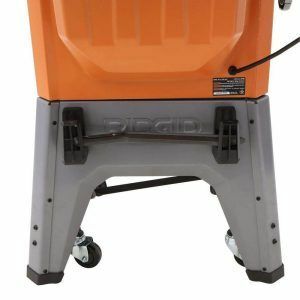 The motor is made of premium materials that make it reliable, durable and counts to the total pricing of this machine. Some people would complain that this equipment is overpriced. But, before anything else, just focus on the engine power. When you compare it with hardware quality, you realize that they go hand in hand and no exception. There is no great disparity between this table saws and others costing worrying amounts, what matters is the service being dispatched to the user. Unlike other highly priced table saws, the RIDGID R4512 table saw provides an amazing cutting performance. With 2-1/4 inches cutting depth, this tool can cut through any piece of wood or material in your workshop, and you won’t need to over stress your machine. Remember, the cutting depth is very important since it gives the machine a very easy time when handling different tasks. There is nothing more nagging than having to deal with multiple tools when using a table saw. Apart from enhancing comfort, proper storage of material and tools reduce the chances of accidents. It allows you to keep everything in order for quick access whenever you need it. When you have full control of your table saw, nothing can stop you from grasping your dreams. Thanks to the integrated secure grip foot pedal. This feature has the main function of enhancing easy re-positioning of the saw. Without calling for backup, everything is taken care of by this amazing feature. The most important thing in any woodworking tool is precision and accuracy. That’s why; this model here is equipped with a perfectly designed miter gauge with positive stops. This allows you to make accurate and precise cuts. Moreover, the fence system is excellently designed, and this tool is awesome. Even for the small deviation cuts, this tool is there for you to provide great accuracy. As we said, this tool features an incredibly spacious table top. However, it has a T glide fence which looks okay. The other design aspect is the on-board storage which is quite neat. And, already this machine is versatile, yet the neat on-board storage makes it quite better than many others still roaming the market with vast defects. So, this equipment lets you have all your most used tools around you for quick access. With a large mold handle equipped on this device, the user feels very comfortable when holding it. Moreover, the design is customization whereby you can add an extension table or an auxiliary table. Thus, you can work with whatever version of the table saw you want so as to maximize the benefits. This machine has the highest power to make sure that you are able to get all the desired services. It has an inbuilt motor that is meant to supplement the power and also to increase the efficiency of this machine. The motor ranges to 13 amperes and thus will provide your table saw with ample power for quick and precise functions. On top of that, the motor has enough power to generate 3450 rotations per minute making it super quick. Therefore, you are able to cut accurately and easily through the wood planks and also plywood. The speed is also ideal for wide and thick timber to enhance perfection while slicing the wood. The advantage of having a table saw is to make sure that you are able to slice and cut wood planks at a linear inclination. Thus, this brand is meant to produce accurate and straight cuts that will make every performance outstanding. The cast iron table is sturdy and durable to prevent vibrations and other hindrances. You are therefore guaranteed to having straight and accurate cuts with ease and precision. It is highly recommended for first-time users with its ease of operation. 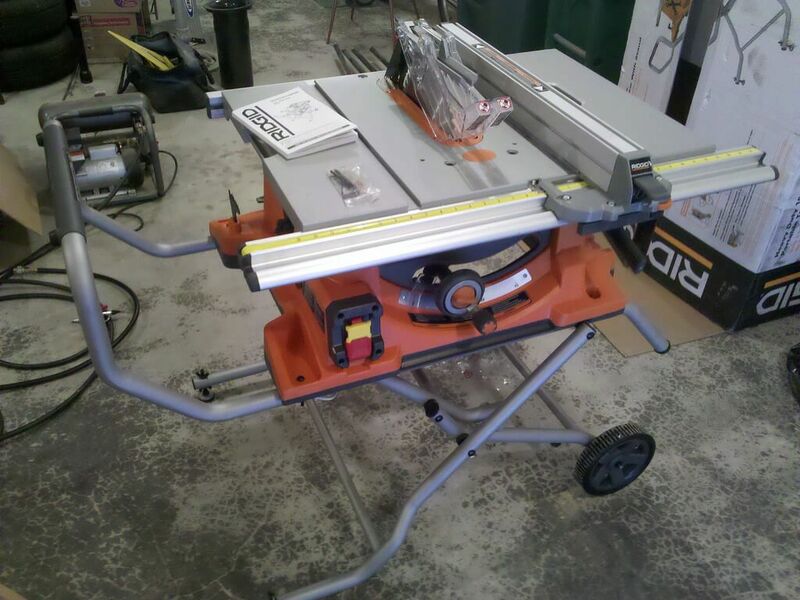 This table saw is not only limited to outdoor use but will also perform in the indoors. This is highly boosted by the sense of quietness that this tool performs in. It is quiet and silent while performing and thus becomes environmentally friendly. Also, it has a dust collection bin that will collect most of the dust produced. It will, therefore, remain tidy and clean for user-friendly performances. Lastly, it has no smoke emissions and hence becomes safe and secure to use leaving all limitations aside to prevent smoke related complications. 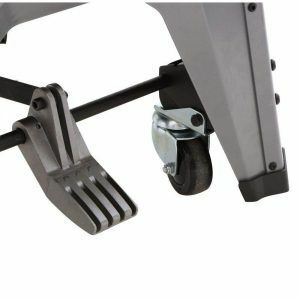 To facilitate easy and smooth adjustments, the design incorporates front and back clamping. Also, the aluminum rip fence boasts extra-large glides which are a great way of enabling smooth adjustments along rails. Besides, it also includes T slots which make it possible for variable placement of accessories and including fences and sacrificial fences. If you are the guys who consider safety as a priority on top of other things, this table saw is all yours. It features a perfectly placed blade guard. The blade allows you to view the movements inside so that you can know if the machine is jammed or not. It also features an anti-kickback system that is excellent and durable. To make the safety system complete, this table saw features large and easy push on/off buttons. Different users have different taste and experience for table saw uses. However, this model has attracted many people attention because it definitely has some uniqueness’s. After doing thorough research on what professionals had to say about this device, we have been able to understand the advantages and disadvantages of this machine clearly. Hobbyists and professionals both love the smooth and accuracy of this device and feel that it almost hits the 100 percent mark. A bit heavy. It has a bulky design that will make it hard to travel with. Thus, it hinders mobility and portability. Q: Can I use a dado set with this saw? Q: Is it direct drive or belt? Q: Which dado size to use? It is evident that this is unit is a bit versatile. Its performance surpasses others on the market. Moreover, it is great for handling any kind of work fit for a table saw. It is great for flooring, wood processing, roofing and any other project you think a table saw could help. RIDGID R4512 is a great tool to have in any wood shop, and the rest is all yours to enjoy!